Experience the comfort of our soft and luxurious MODLUX 100% Cotton Velvet Spa Slippers wherever you are! 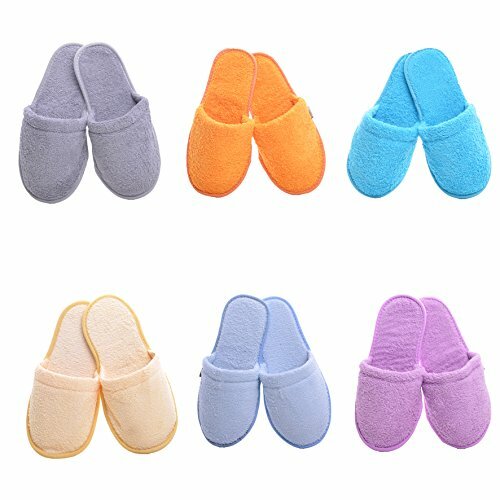 Each pack consists of 12 pairs of 100% Cotton Velvet Spa Slippers (6 medium and 6 large sizes). 12 drawstring bags for travel and hygienic purposes. The medium size measures 26.5 cm/10.4" in length and the large size measures 30cm/11.8" in length with a medium width for both sizes. Our disposable slippers can be worn for an extended period of time due to our high quality materials and excellent craftsmanship. Thick and comfortable, but most importantly breathable due to our natural cotton material. Can be worn over an extended period of time, or used for a short period of time for travelling or keeping your feet clean from a dirty job around the house. Can be thrown in the washing machine to reuse, however it is recommended to dispose of used slippers with extreme wear and tear. Moisture Control - Cotton fabric is breathable and transmits moisture away from the body and is absorbent and removes liquid from the skin, like a towel. Insulation - Cotton fabrics protects against heat in the summer and cold in the winter by providing thermal insulation as the cotton fabric traps air between the fabric fibers. Hypoallergenic - Cotton fabric rarely causes allergic reactions and wearing cotton is often recommended for those with skin allergies, notes Cotton Incorporated. Weatherproof - Cotton fabrics can easily be manufactured into weather-resistant garments through construction and finishing of the fabric. Comfort - Cotton fabric is soft and easily stretches, making it a comfortable fabric to wear. Due to its softness and comfort, it is often used in socks,underwear, and undershirts. 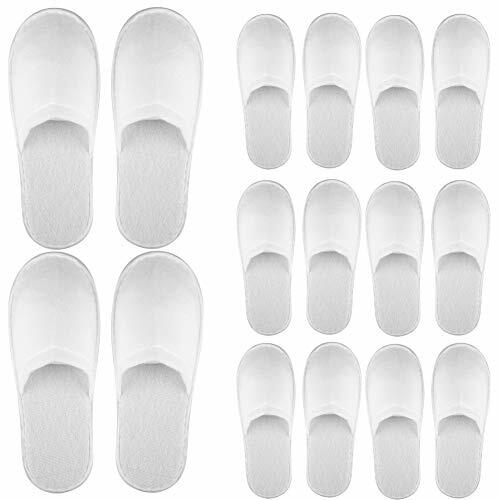 SIZING: Each pack contains 12 closed toe spa slippers that come with 6 pairs of medium and 6 pairs of large. The medium size measures 26.5 cm/10.4" in length and the large size measures 30cm/11.8" in length. Having two sizes will fit most foot sizes and will allow all of your guests to have the perfect sized slipper at all times. Each pair comes with a high quality drawstring bag (12 bags total) so your slippers can be kept stain free. COMFORT: These modern and luxurious cotton velvet slippers feature a thick upper and inner sole lining of the softest cotton velvet material. 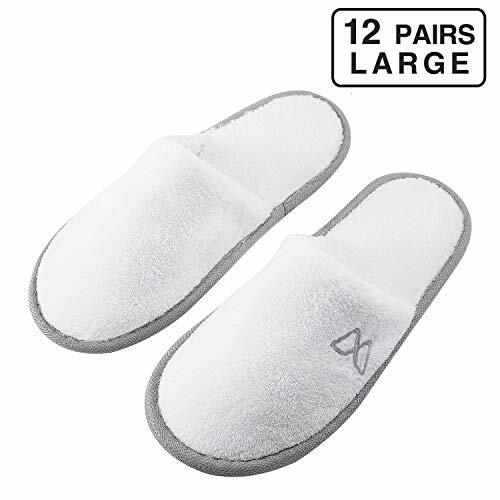 As opposed to coral fleece and terry cloth, these cotton slippers are breathable and adjusts to your foot's shape over time. The bottom soles are made from a thick EVA material that provides extreme comfort throughout the whole day. SAFETY: Each slipper has an EVA non-skid sole to ensure that your guests wearing them will be safe from slipping in the bathroom or on any other dry or wet surface. These slippers are perfect to keep near the entrance so they are always available for your family and guests. Spoil your guests with the comfort that these slippers will provide daily. VERSATILE: These slippers are also great to be used commercially. Add some luxury to your bed and breakfast, spa, hotel, or motel. They are a hygienic option for travelling as well as getting some dirty work done around the house. Each pair comes with a drawstring bag to keep the slippers clean or keep your belongings clean from the used slippers. 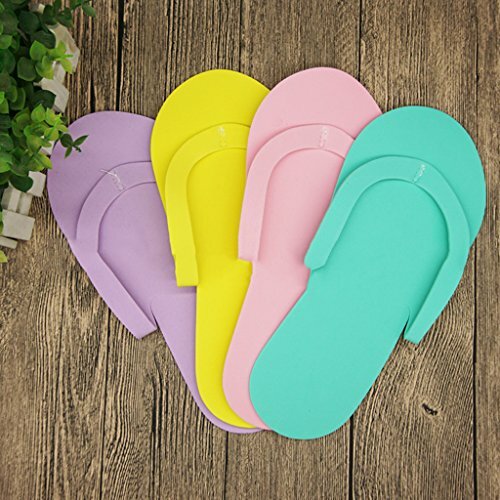 GUARANTEE: We are confident that our disposable spa slippers are the best quality on the market, that we are offering anyone who purchases a set a 100% refund if they are not completely satisfied. Spoil her with the ultimate spa experience! Little girls love to be pampered, just like their mommas. Now, with My Spa Experience from B Me, kids can relax, unwind and discover what it's like to truly escape! This all-in-one collection comes with absolutely everything they need to do real manicures, pedicures, foot massages, facials and other fun, fabulous treatments at home. Whether she's indulging herself after school or entertaining a crowd at a sleepover, the kit promises hours and hours of soothing comfort and creative stimulation. Best of all, My Spa Experience includes no fake makeup or play-pretend toys. Designed for little ladies ages 6 and up, each individual supply is 100% real and ready to apply. From bubbly spa foot baths and luxurious pedicures to pretty press-on nails and stylish stickers and decals galore, there are so many ideas for jazzing up her daily routine. So no more worrying about those expensive 'kiddie manicures' at the local salon. Save your cash, and let your artistic youngster run the spa herself! 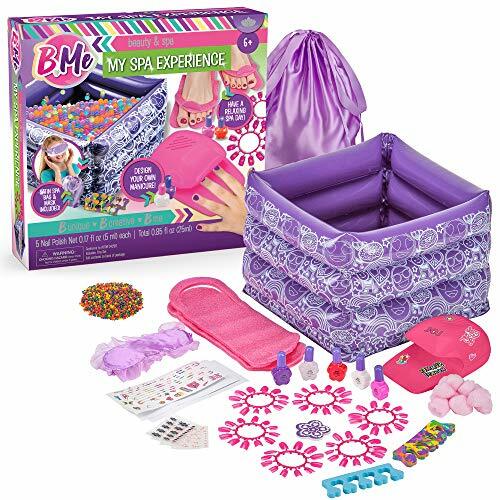 What You Get 1 x My Spa Experience from B Me 5 x Colorful bottles of nail polish & manicure supplies 1 x Foot bath with expanding bubble gels 1 x Satin bag to use as a carrying case The ultimate spa set for girls who study hard and relax harder! Specs & Details Includes:  nail polishes,  nail dryer,  nail stickers,  towel,  inflatable pool,  bag of jelzeez beads,  satin bag,  spa mask,  nail file,  nail decals,  toe separators,  pedicure slippers,  press-on nails,  nail dryer sticker & cotton balls Recommended age 6+ Note: Nail polish is water based & non toxic How To Enjoy Inflate the pool, toss in some beads and add water Let her soak her toes, dry off with the towel and do her own manicure Watch kids work together and enjoy a fun group activity Give a great gift that teaches her to chill out and be creative! 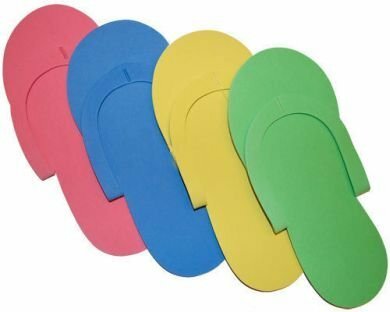 These colorful pedicure slippers are durable, disposable, and inexpensive. Adult Size Slippers but you can cut them down for kids use. 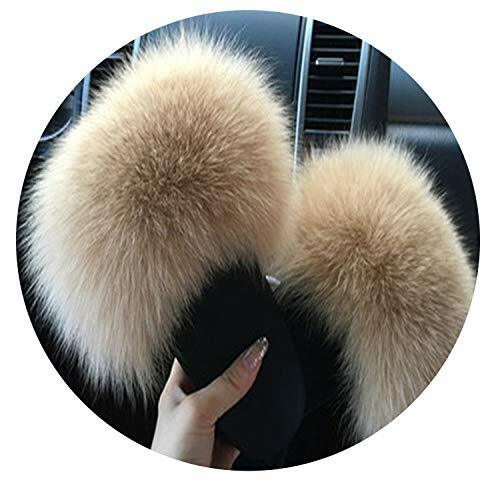 Brand: Foorame | Manufacturer: SUNEE CO., LTD.
 MORE COMFORTABLE: Our closed toe hotel spa slippers are made with fluffy soft coral fleece, plush padded non-slip sole. Added EVA padding for warmth, durability and comfort. Convenient, wholesome, warm, cheap characteristic makes indoor disposable slippers became the indispensable part in people life gradually. 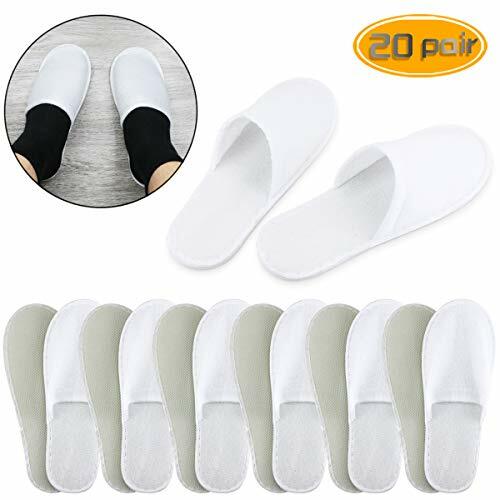  NON-SLIP SOLE: Each white slippers has an EVA non skid sole to ensure slippersthat house guests wearing them will be safe from slipping in the bathroom or on any other wet surface. Keep a basket full of slippers by your front door so guests can slide on a pair when entering. They will feel pampered and your floors will remain protected.  SIZED TO FIT MOST FEET: Each package includes 6 pairs white slippers(3 Medium, 3 Large). Medium size measures 10.75 in length. Large size measures 12 in length. Having a range of sizes make these bulk slippers the perfect for mens and women both.great for family and guests.  WIDESPREAD USE: Free your feet, release mental stress from the intense work and life. Perfect for Airbnb, Hotel, Motel, SPA, Air travel, Bridal Parties, Motel, Bedroom, Home, Guest Room, Bed and Breakfast.  INDIVIDUALLY WRAPPED Each pair of luxury disposable slippers is individually wrapped for hygienic protection.We are so confident that our range of disposable slippers are the best choice on the market, that we are offering 100% money back manufacturer warranty. Organic Terry Cotton Slippers for men with resilient Memory Foam. 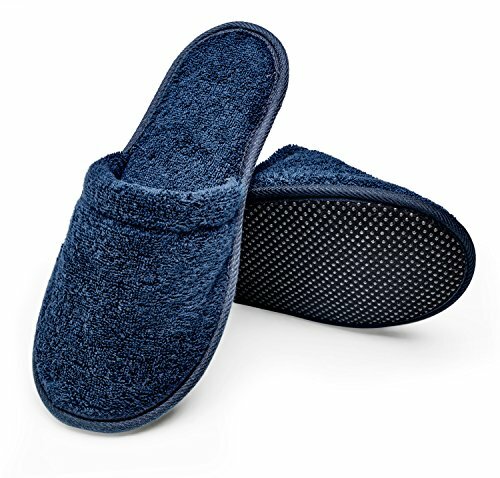 Men's closed toe hotel spa style slippers will be your everyday use house slippers to wear after shower, bath, hot tub, sauna or pool. Terry cotton facing is manufactured from 100% high grade certified organic cotton with extra long fibers grown in the Aegean region in Turkey. Soft and Breathable Premium Cotton Terry construction with single ply loops on the inside and on the outside make it absorbent, plush and soft to the touch. It will quickly absorb any moisture. These cotton slippers for men have plush and cozy Organic Turkish Terry Cotton Fabric facing on top. Made of polyurethane, memory foam bed and sponge construction inside the sole will allow the foot to mold to the contours of your feet by evenly distributing. EVA (Ethyl Vinyl Acetate) anti slip sole in black color at the bottom of the slippers will not scratch any floor surfaces. 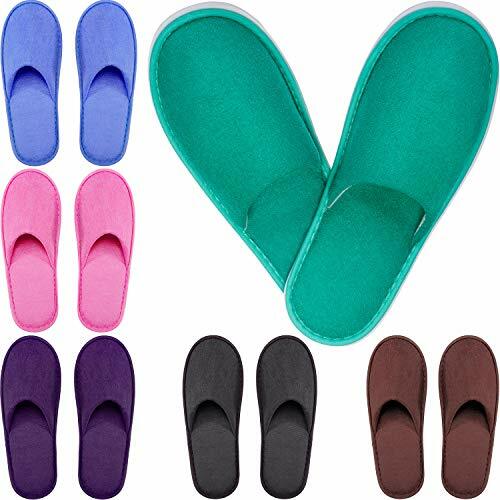 Dorm room essential to saunas and spas, you may use these slippers for your guests, give as Christmas gift on a special occasion, use as bedroom slippers at home or take it with you when you travel. Hotel use to hospital stay, airline travel to boat wear; these slippers are multipurpose for when you need them. Can be monogrammed or embroidered for corporate gift baskets. Available in Sizes S/M and L/XL in Black, Burgundy, White and Navy Marine Blue colors. 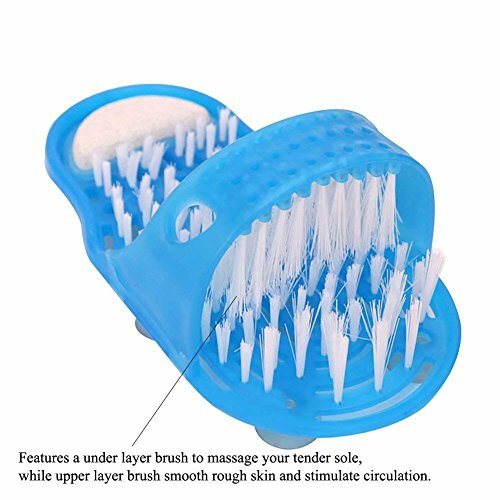 Specifications: Material: Plastic Dimensions: 28cm/11.02"X14cm/5.51"X10cm/3.94" Color: Blue 1 X Brush Slipper (Single) Notes: 1. Due to the different monitor and light effect, the actual color of the item might be slightly different from the color which is showed on the pictures. Thank you! 2. Please forgive 1 cm/0.39"-3 cm/1.18" measuring deviation due to manual measurement. 3. Very welcome to contact our dear customer service staff if you would like to know more about our products! Feet for All Ages: Perfect for family use..This slipper is used to clean and massage your feet from heel to toe, you don't need any bending or stretching to useIf someone in your family is troubled by washing feet especially those with problem reaching their feet , this will be a great gift. Advantage: Gives perfect massage with providing comfort and safety.There are 5 suction cups on the sole Suction cup base sticks to almost any surface. Easy to keep clean. Notice: Do not move frequently once fixed.Frequently movement will reduce the suction of the suction cup and may cause the suction cup to fall off. Receive 12 pairs of Juvale disposable slippers at a value price. These slippers feature grey fleece cloth uppers with a 5mm EVA sole. Bring a pair when traveling, give some out to customers at your bed and breakfast, nail salon, spa, etc. Textured sole prevents you from slipping! Slippers each measure 11.8 x 0.2 x 4.3 inches; fits up to US Men's Size 11 and US Women's Size 12. 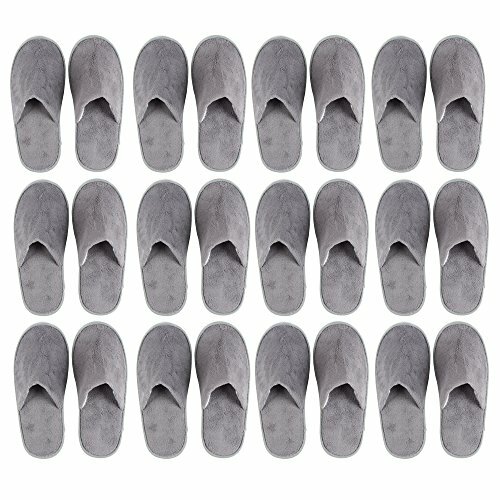 DISPOSABLE SLIPPERS: Receive 12 pairs of grey disposable slippers. These slippers feature grey fleece cloth uppers with a 5mm EVA sole. VERSATILE: Bring a pair when travelling, give some out to customers at your bed and breakfast, nail salon, spa, etc. ANTI-SLIP: Textured sole prevents you from slipping! VALUE PACK: Make sure to always have some on hand when you need them! DIMENSIONS: Slippers each measure 11.8 x 0.2 x 4.3 inches; fits up to US Men's Size 11 and US Women's Size 12. Made from %100 Ring spun cotton. No flaws or thread hangings. Affordable Luxury. They are light, comfortable and perfect for long flights, hotel, spa use. They're easy to pack, easy to carry on an airplane or train. It is now time to switch to these slippers for the ones that have been wearing flip-flops in the house for many years. Do you prefer guests to not wear their outside shoes in the house? These slippers allow you to give your guests some comfortable slippers to wear while they are in the home. Who wants to step out of the shower and just walk around with damp feet? These are perfect for after shower use or bathroom use when you don't want to walk out of the bathroom with wet shower slippers. They work really well for your Airbnb guests, as well. Brand: MINTEKS | Manufacturer: Minteks Tekstil San ve Tic, LTD. Sti. Receive 24 pairs of Juvale disposable slippers at a value price. These slippers feature white fleece cloth uppers with a 5mm EVA sole. Bring a pair when traveling, give some out to customers at your bed and breakfast, nail salon, spa, etc. Textured sole prevents you from slipping! Slippers each measure 11.2 x 0.2 x 4.5 inches; fits up to US Men's Size 10 and US Women's Size 11. 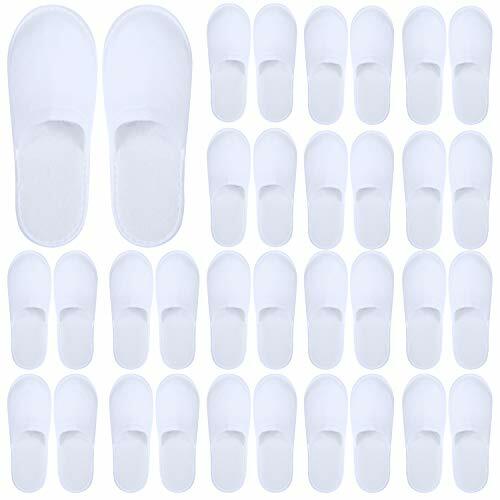 24 PACK DISPOSABLE SLIPPERS: Receive 24 pairs of white disposable slippers. These slippers feature white fleece cloth uppers with a 5mm EVA sole. DIMENSIONS: Slippers each measure 11.2 x 0.2 x 4.5 inches; fits up to US Men's Size 10 and US Women's Size 11. Women's/Men's Shower Slipper Shoe Universal Perfect Fit for Full Slip Resistant Perfect for any use such as for the gym, sauna, hospitals, homes, dorms, locker room, and hotels. Walk around with confidence with Beemo Mesh Shower Shoe including numbers of key benefits: - Walk around in swimming pool area without having any dirt scratching your feet. - Soft pull tab at heel If you want the very best in comfort and performance, our Mesh Shower Shoe is a perfect choice, with high performance, grooved soles! Click "Add to Cart" now! Receive 24 pairs of Juvale disposable slippers at a value price. These slippers feature white fleece cloth uppers with a 5mm EVA sole. Bring a pair when traveling with children, give some out to your little customers at your bed and breakfast or hotel. Textured sole prevents you from slipping! Slippers each measure 9.8 x 0.2 x 3.8 inches. 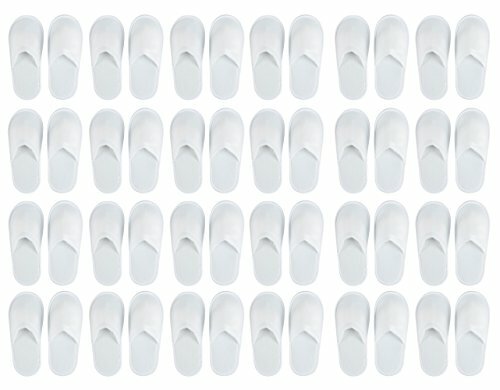 DISPOSABLE KIDS SLIPPERS: Receive 24 pairs of white disposable slippers. These slippers feature white fleece cloth uppers with a 5mm EVA sole. VERSATILE: Bring a pair when travelling, give some out to customers at your bed and breakfast, hotel, spa, etc. DIMENSIONS: Slippers each measure 9.8 x 3.8 inches. Fits Up to US Men Size 6 and Women Size 8. Suitable for Kids and Teens. These luxurious waffle cotton slippers feature a thicker sloe than usual disposable slipper which makes them pleasant to wear for hours. The product is both hand and machine washable, but we recommend that no more than three times. A water temperature of 30 degree centigrade is recommended to achieve the best result. Soaking in the warm water for about half an hour, then clean them by hand gently, not by brush. Air dry and flat dry. Don't bleach. The chemicals in breach seriously damage fabric. All of our items are new from factory, it's normal that some may have little smells, please don't worry, it will disappear soon. Please "DO NOT" wear them too often, or the slipper would be easily deformed. Due to the man-made material, please keep them far from fire or high- temperature items. Tell your dog that it is not a play toy. 1.Our size is not standard UK size, and it is only equal to foot length! 2.The size standards of different countries or different manufacturers are different, your foot length is the sole criterion for choosing size. 3.Please measure your foot length carefully. Treat your feet and grab a pair today! - RISK FREE - Click 'Add to Cart' above to get yours now! MULTI-PURPOSE INDOOR&OUTDOOR SLIPPER: These white waffle cotton slippers are popular choices for wearing around the house, pool, lounging. You can wear them inside the house after a nice bath, outside for a pedicure, or on your spa date. They are a hygienic option for using in hotels, travel, airline, spa, home, sanitary and so on. NO MORE SWEATY FEELING: Lined with waffle cotton, these soft scuffs literally let your feet breathe. They never get smelly, and they launder with ease. BUT, please note that this slipper is not very durable for everyday wear. NON-SLIP SOLE: Each lightweight slipper has an EVA non skid sole to ensure that house guests wearing them will be safe from slipping in the bathroom or on any other wet surface. EASY TO CARRY AND WASH: They are so light-weighted and soft that easy to carry. They could be perfect for all seasons, especially for spring, summer and autumn. and they launder with ease-Hand or machine washable. 100% GUARANTEED: We're so certain you'll love your ECHOAPPLE Slippers that we offer a full guarantee: If you're unhappy for ANY reason, send them back for a money-back refund. 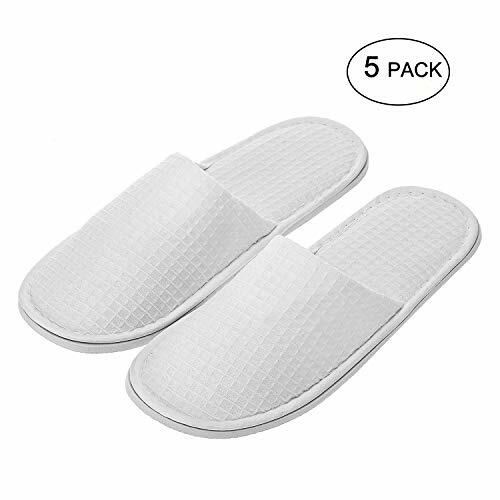 Disposable slippers are widely used in hotels and Spa centers. Overvalued slippers are a good choice for wholesale purchasing. At the same time, it can also be used to change shoes and slippers for guests at home. The guests will be very happy and keep the house clean. General slipper size for both men and women. Anti-skid sole design, more safe to wear . High quality flannel and EVA sole, comfortable and convenient. More than once, very strong and breathable. 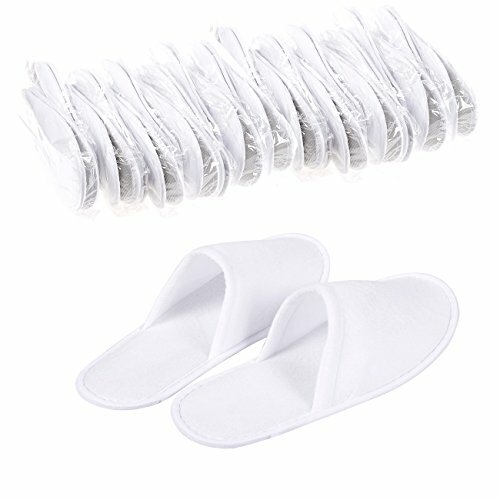 Package Included: 20 Pairs disaposable spa slippers,can meet the general needs of the family . Antiskid Design: The slippers sole is designed with anti-skid material, which makes the sole thicker and safer and more comfortable. Size: Each slipper is 10.6 inches/27cm long and 4.13 inches/10.5cm wide. Unisex: General disposable slippers for men and women,with the air permeability, wearing comfortable, convenient carrying. Multipurpose: It is widely used in hotels, spa centers and other business clubs. At the same time, it can provide convenience for guests at the entrance of the home and keep the house clean. 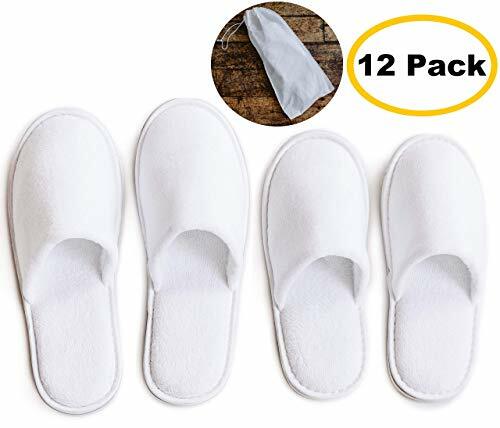 2 pair disposable spa hotel slippers, bulk guest slippers size 11 women size 10 men. This slippers will fit most foot sizes and will allow all of your guests to have the perfect sized slipper at all times. Each slipper has an EVA non-skid sole to ensure that your guests wearing them will be safe from slipping in the bathroom or on any other dry or wet surface. Polyester cotton material, comfortable feet, not easy to bend, easy to walk, silent. You will feel soft and comfortable when you wear it.It will warm from the soles of the feet to the bottom of the heart. 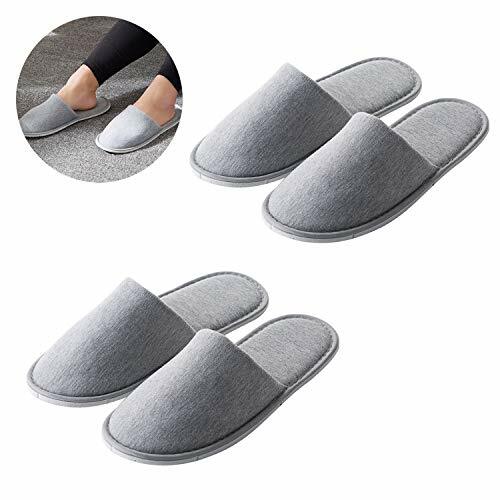 As opposed to coral fleece and terry cloth, these cotton slippers are breathable and adjusts to your foot's shape over time. They are a hygienic option for travelling as well as getting some dirty work done around the house.You also can take it while you are going on a travel.Suitable for Hotel, Home, Guest Use,Train,Travel Use.Will make your life more comfortable.A necessary slipper for your life. MADE OF HIGHLY MATERIAL:These modern and Polyester cotton material velvet slippers feature a thick upper and inner sole lining of the softest cotton velvet material. As opposed to coral fleece and terry cloth, these cotton slippers are breathable and adjusts to your foot's shape over time. MORE EASY AND CONVENIENT FOR LIFE:You can put these slippers near the entrance of your door,they are more available for your family and guests. Spoil your guests with the comfort that these slippers will provide daily. EACH PAIR COMES IN ITS OWN BAG - Each pair of spa slippers come individually wrapped great for traveling or for nail salons. WIDELY APPLICATION:They are a hygienic option for travelling as well as getting some dirty work done around the house. Each pair comes with a drawstring bag to keep the slippers clean or keep your belongings clean from the used slippers. Disposable slippers - a hygienic and convenient choice. White, made of non-woven fabric, with a sole thickness of 4mm. Size: 27cm x 10.5cm, suitable for most people. slippers for your guests. Whether it's going out or at home, spare slippers are essential, light and hygienic, and kept clean. Non-slip design: The texture of the sole increases the friction with the ground and effectively prevents slipping. use than other disposable slippers. Since the material is not waterproof, please avoid contact with water. 11inch long, suitable for men and women, 8mm thick bottom will protect your feet to a greater extent. Using high-quality soft long-wool fabric, breathable and comfortable, let you maintain a gentle experience of your feet throughout the day. One-time slippers have versatile quality, you can use it multiple times because of its quality, you can also throw it away after a single use. We will DEFINITELY NOT reduce the quality of our products in order to control costs. 7 days no reason to return, lifetime quality assurance. Tee-Mo is committed to public welfare. After each order is made, we will donate $0.1 to poor children. 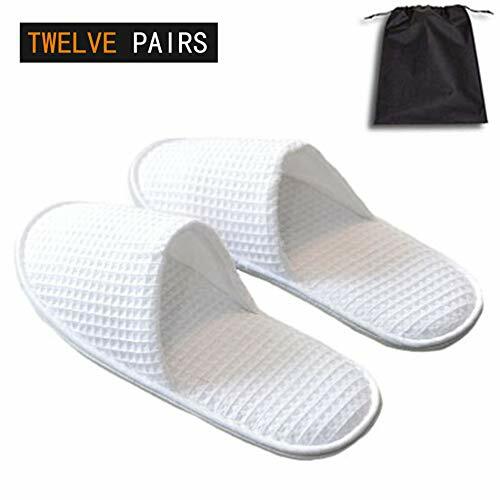 Suitable for Most: There are 12 pairs of portable slippers in a package, they are very comfortable, soft and breathable. The 11-inch large slipper is suitable for almost all adult male and female sizes and can be used by the whole family. Reliable Quality: 8mm thick, diamond-cut non-slip sole, suitable for all kinds of environments, let you walk safely in the bathroom or other smooth or wet ground, and we use also reinforced with a durable trim binding, super soft and long fleece fabric for the most relaxing enjoyment of your feet. Easy to Use: Free and convenient storage bag, you can bring slippers to any place, whether it is SPA, travel and hotel, you can also put it at home, it will be very convenient and hygienic when friends gather. The super high quality makes you feel convenient and warm. Beautiful and Easy to Clean: beautiful solid color, simple style for everyone, soft and breathable material to help you liberate your feet. They are easy to clean, hand or machine wash, and air dried. Tee-Mo Guarantees: We are very confident that Tee-Mo portable slippers will be your best choice. If you have any questions, we offer a 100% return refund. Why let your feet be basic when they can be extra with this collection of wit ankle socks. 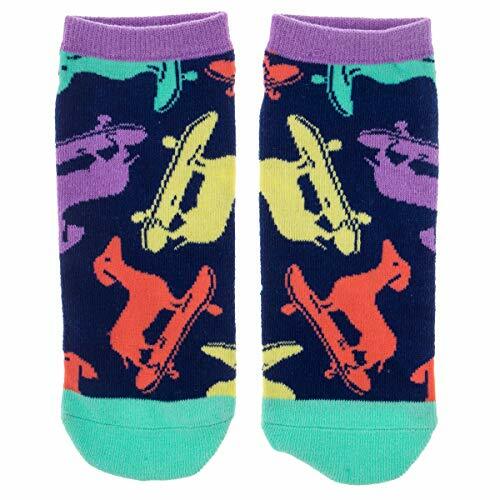 Let your feet feel good and stand out from the crowd with a pair of hilarious socks wrapped around your feet. These socks will be sure to spark a conversation when they catch other's eyes as you step around town like the cat lady you are with your best buds in toe. Available in a range of designs, there's a pattern for everyone whether you're zen AF, a pot head or just want others to go away. COLORFULLY CASUAL: These bright socks stop at your ankle, so they're perfect for that no-sock look with your trainers (and if a little color peaks out, even better!). SOFTY: 71% cotton, 18% nylon, 8% polyester, 2% spandex, and 1% rubber, means socks that are super soft, ultra comfy, and stay put. STAY PUT: With just the right amount of stretch, these graphic socks will stay put. EXPRESS YOURSELF: Life's too short for boring socks. Add a shock of color to your outfit, whether you choose to let people see it or not. These slippers will add some luxury to your bed and breakfast, spa, hotel or motel, it is a hygienic option for travelling, textured sole prevents you from slipping. Each slipper has an EVA non-skid sole to ensure that your guests wearing them will be safe from slipping in the bathroom or on any other dry or wet surface, also is a good option for them to change into something comfortable while visiting. 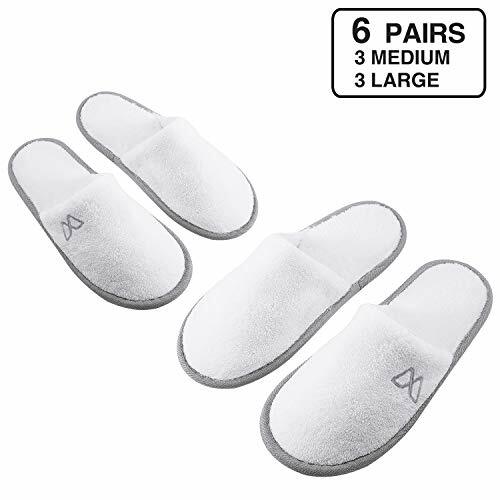 Spa slippers are light, comfortable and great for long flights, hotel, spa use, easy to pack, and convenient to carry on an airplane or train. 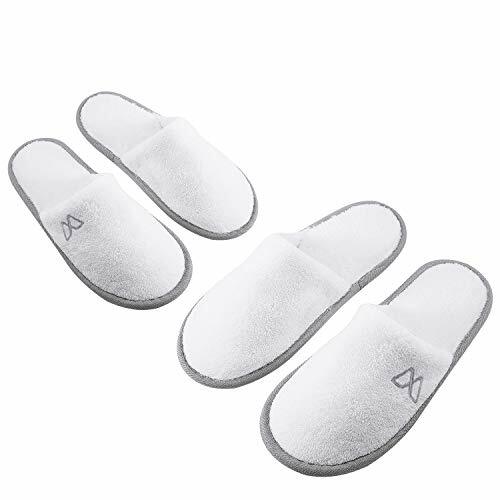 Suitable occasions: disposable slippers are great applied in hotels, travel, airline, spa, home, sanitary, also can be applied in salon slippers, hospital slippers, gym clubs slippers, etc. Creating beautiful nail for long lasting sparkle nail tips! It is made of high quality materials that are durable enough for your everyday use. The time of the painting to color blending color and bloom of raw materials. Make you nails look much more noticeable and beautiful. Suitable for salon use and personal use. 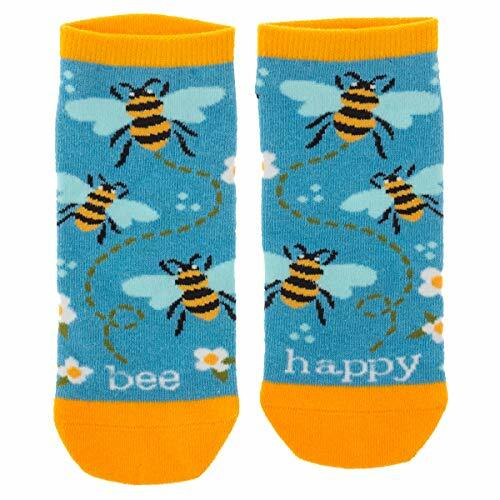 Find peace and love for your feet with this collection of ankle socks. Let your feet feel good and stand out from the crowd with a pair of unique socks wrapped around your feet. These ankle socks pair perfectly with any trainers and are available in a range of designs. There's a pattern for everyone whether you're making waves or giving out free hugs.